At 1100 UTC on December 5th, Susie activated her EPIRB (emergency position-indicating radiobeacon). 1324: 73-TOTALLY & UTTERLY GUTTED! After speaking with her via sat phone, she is in control and doing okay. She lost her mast when the boat pitchpoled ("somersaulted") in the recent storm, and spent a few hours clearing away the debris to prevent further damage. The hull is okay, and we’ll post further updates as they arrive. UPDATE: FULL Press Release shortly...spoke to Susie again. advised her MRCC CHILE have a ship 400 miles SW now making way best speed to her, ETA about two days. Boat was PITCHPOLED stern over bow. She has cut hands a few paces, bruising and pounding headache after concussion. Now talking to MSOS UK the GGR 24hr telemedicine doctor for advice and check up. Weather is moderating a little. Boat huge mess down below. Not in danger for now. 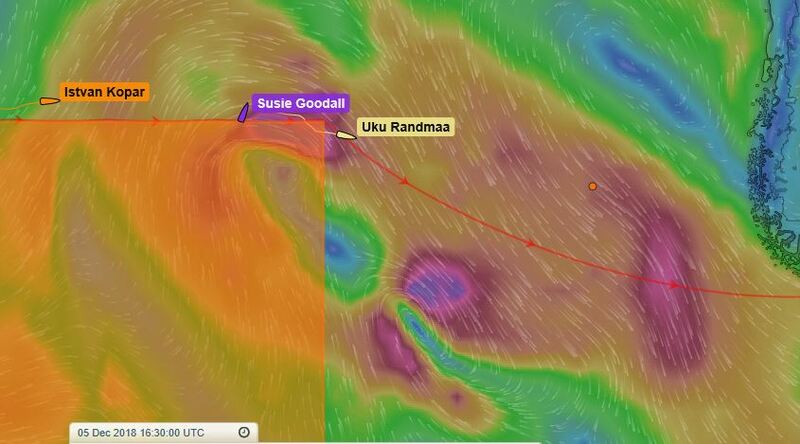 UPDATE: Susie Goodall Racing rang again. She is OK..Small amounts Water coming in through many holes in the deck filing bilge every hour but all pumps are fine. All battery charging has been damaged by salt water. He emergency water was lost in the roll over when the cap burst. Broken glass jars and food is spread through the boat and over pillow and sleeping gear. All gear in the saloon has crashed forward and is a mass pile up. She is cold from time on deck and now will get warm and rest. When I told her about the huge following and good wishes from around the world she was VERY grateful happy to hear that but she is certainly very disappointed and feels she has let her followers down. 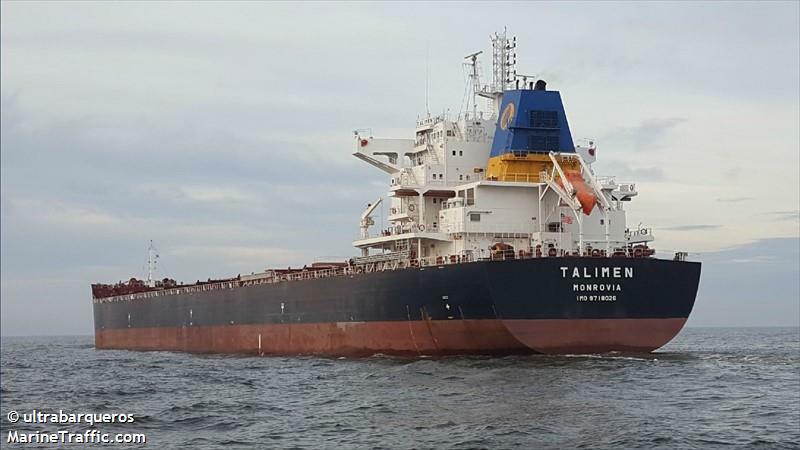 Chile RCC have confirmed the 229 meter Liberian registered 85000tonne BULK CARRIER "TALIMEN" on a voyage from ABBOT POINT in Australia bound for TABARAO in Brazil has altered course headed NE to SUSIE. ETA in about two days.